When you step onto the polished floor with mirror finishing of building, noticing the smart security personnel and impeccable arrangement of facilities then one thing came in your mind is that, who is behind this management. 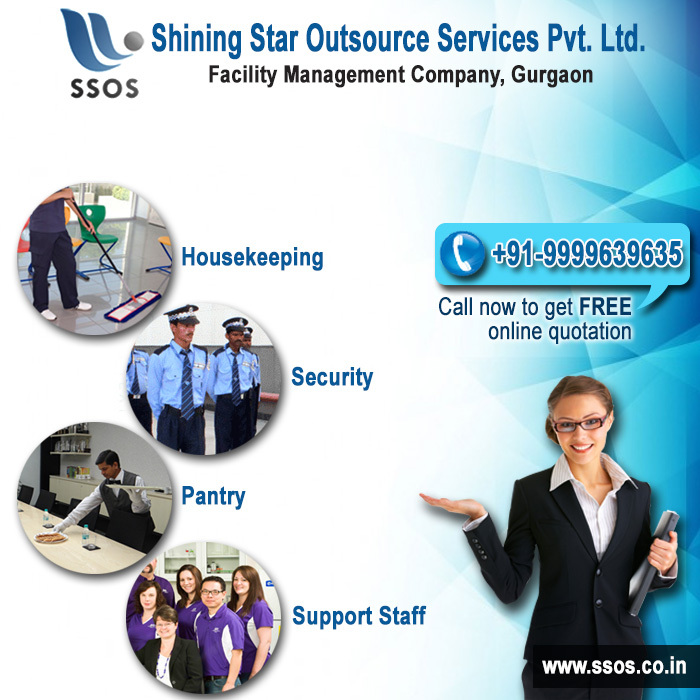 The answer is Shining Star Outsource Services Pvt. Ltd. the leading facility management company Gurgaon brings their experience to work collaboratively with client to deliver the support they need for future. Seamless integrated facility management services in Gurgaon for your business needs are offered by them. They help you to achieve maximum efficiency of productivity as per your strategic goals. Main target of SSOS is reducing cost, minimizing risky, protecting business reputation, creating quality environment for employees and executing regulations. They take accountability for operational and financial risky, and deliver world class service standard that meets the client’s expectation. SSOS now became a trusted voice in facility management industry. Big corporate houses and public sector undertaking in Gurgaon are allied with company and continuously taking benefit from our services. For affordable and efficient facility management services please send your query via phone or by email.